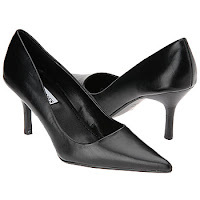 Goodreads: Raised in genteel poverty after the first World War, Maria Magdalena Dietrich dreams of a life on the stage. When a budding career as a violinist is cut short, the willful teenager vows to become a singer, trading her family’s proper, middle class society for the free-spirited, louche world of Weimar Berlin’s cabarets and drag balls. 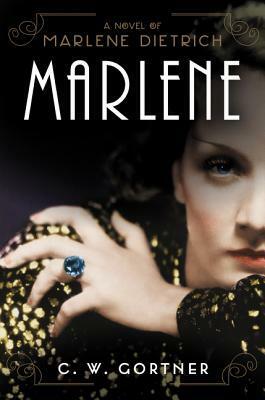 With her sultry beauty, smoky voice, seductive silk cocktail dresses, and androgynous tailored suits, Marlene performs to packed houses, and becomes entangled in a series of stormy love affairs that push the boundaries of social convention. For the beautiful, desirous Lili Marlene, neither fame nor marriage and motherhood can cure her wanderlust. As Hitler and the Nazis rise to power, she sets sail for America. Rivaling the success of another European import, Greta Garbo, Marlene quickly becomes one of Hollywood’s leading ladies, starring with legends such as Gary Cooper, John Wayne, and Cary Grant. Desperate for her return, Hitler tries to lure her with dazzling promises. Marlene instead chooses to become an American citizen, and after her new nation is forced into World War II, tours with the USO, performing for thousands of Allied troops in Europe and Africa. But one day she will return to Germany. Escorted by General George Patton himself, Marlene is heartbroken by the war’s devastation and the evil legacy of the Third Reich that has transformed her homeland and the family she loved. Kritters Thoughts: My second C.W. Gortner epic read and I am officially a fan! This one centers around Marlene Dietrich who had such an epic life. From living in Germany and working in theater there to moving to Hollywood and living the ultimate Hollywood life and even to the USO tour and seeing the front lines of a war that involved her home country, she had an extraordinary life. Before reading this book, I knew very little of Marlene Dietrich, if anything! Before this book, I read her book on Chanel and I knew much more about her. I actually liked going into this book blind, it was fun to read a story and just enjoy it for the mix of fiction and non fiction that it was. The one thing that I can spotlight that I thoroughly enjoyed was reading a book about World War II through a German's eyes that was removed from it by living in the states and hearing her disgust with the people of Germany who didn't try to stop the horrific things that were happening. I loved that she tried to do all that she could to make the situation better and her response when she returned to Berlin was so interesting. I will definitely be moving slowly but surely through the backlist, although most of what is left are Tudors and Queens, so slowly but surely I will read them all!